Allied troops preparing to disembark in France on D-Day. The allied invasion of France on June 6, 1944 was the beginning of the end of the Hitler regime. 1921 – Adolf Hitler named leader of Nazi Party in July of 1921 and took the title of the Fuhrer. 1924 – Nazi Party leaders, including Hitler were arrested for attempting to overthrow the Bavarian government. He was sent to prison for five years, but only served 10 months and was released. He wrote Mein Kampf, while he was in prison. 1929-1930 – The worldwide depression was beneficial to the Nazi’s as they began to gain popularity. 1933 – Hitler was named Chancellor of Germany by President Hindenburg on January 30. The Gestapo was formed on April 26, 1933. Nazi’s assumed complete power, after all the other political parties were banned. 1934 – President Hindenburg died on August 2 and Hitler took over as leader of the German government. 1939 – Germany invades and occupies Czechoslovakia in March of 1939. The German Army invades and occupies Poland in September of 1939. 1940 – Germany invades and occupies Denmark, Norway, Netherlands, Belgium, Luxembourg and France during April and May of 1940. Germany had now invaded and occupied eight countries, from March 15, 1939 till May 10, 1940. April 6, 1941 would see Yugoslavia and Greece be invaded and occupied by German troops. Hitler now had 10 countries under his umbrella of power. June 22, 1941 was the date that 3 million German troops invaded Russia, in what would become one of Hitler’s biggest mistakes of the war. Field Marshal Erwin Rommel wasn’t there when the Allied invasion began, since he had went home for a family visit, since it was thought that the Allied invasion might not take place for another two weeks. Rommel was more humane than some German officers. He didn’t let his troops mistreat prisoners. Rommel participated in a conspiracy to remove Hitler from power, but he was opposed to the assassination plot. 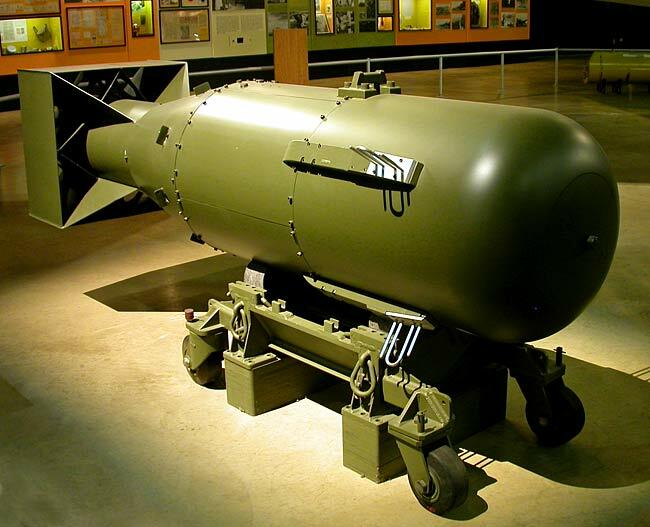 The plot to assassinate Hitler failed when the bomb exploded, but failed to kill Hitler. Some of those involved with the plot implicated Rommel, when they were being questioned about the plot to kill Hitler. Rommel was opposed to the assassination plot, because he feared it might make Hitler a martyr. When Hitler learned that Rommel was involved with the other conspirators, then he gave Rommel the option of committing suicide, rather than be executed, since he had been such a war hero. 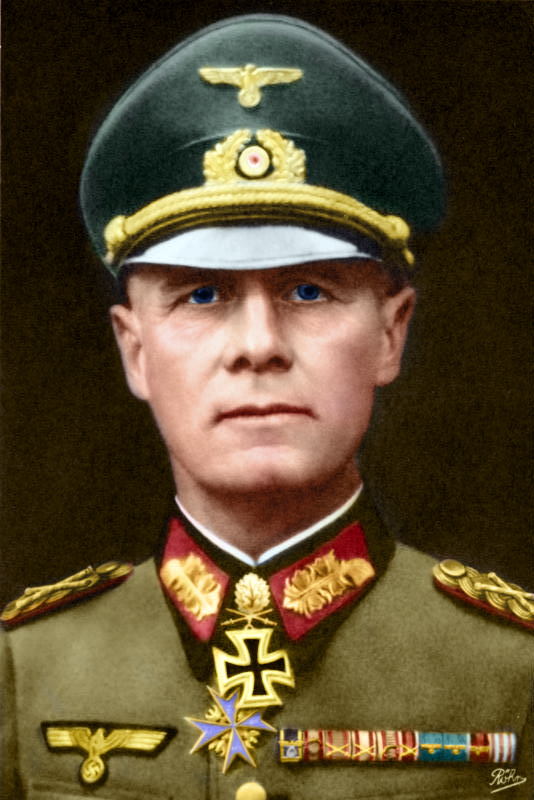 Rommel committed suicide on October 14, 1944, which happened to be the same day I was born. 1942 – The German troops are defeated at El Alamein in North Africa on November 5, 1942. 1943 – The German 6th Army is defeated at Stalingrad on February 2, 1943. 1944 – The Allied invasion of Normandy begins on June 6, 1944. The tide was turning against the Germans as they had suffered two major defeats, with them losing the Battle of El Alamein in North Africa, and to the Russians at Stalingrad and now they had a massive invasion by Allied troops. All of this happened in about a year and a half. 0015 – 17,000 paratroopers land behind enemy lines prior to the invasion. 0309 – German radar sights Allied invasion fleet. 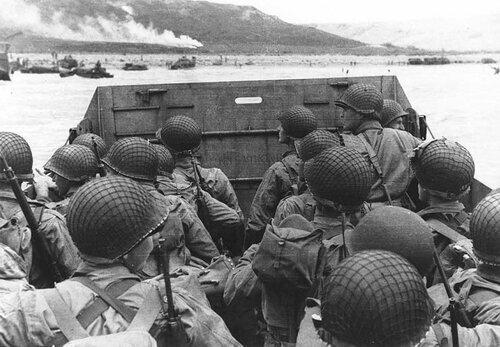 0700 – Allied troops in the first landings at Omaha Beach are pinned down. 0800 – Allied troops climb the bluffs at Omaha Beach. 1000 – The Allied troops have now ascended to the top of the bluff of Omaha Beach. 1330 – American troops advance inland after landing on the beach. 1400 – Hitler conducts first meeting about the invasion. Seven hours had passed, before Hitler became involved with the machinations of the German war machine, in their attempt to stem the American advances. 0000 Midnight – 9 Allied divisions have now landed in France. The landing of Allied forces signaled the eventual end of the Hitler regime. It still would be another 10 months, before Hitler would commit suicide in his bunker, rather than be captured by American or Russian troops in Berlin. Yogi Berra was shooting rockets at Germans onshore from a Navy rocket ship, during the fighting on D-Day, as they softened up the German defense lines on shore. Baseball player Yogi Berra was aboard a Navy rocket ship, at Normandy shooting rockets at the enemy, to soften the enemy strongholds on shore. He never actually set foot on the beach, but he still played a significant part in the events of that day. Author J. D. Salinger carried the first six chapters of The Catcher in the Rye with him, when he was part of the invasion force. Actor Alex Guinness piloted a landing craft carrying British troops to the beach. Actor James Doohan, who would later portray Scotty on the Star Trek television series was shot several times that day and lost a finger. The 11 year reign of Adolf Hitler and the Third Reich ended on April 30, 1945. 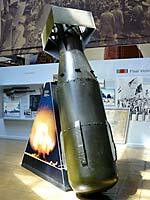 Hitler made a crucial mistake by bombing London and attempting to invade and occupy Russia. Sending three million troops still wasn’t enough to defeat Russia. 4.3 million Germans died during the Eastern front, while 10.6 million Russians died in the fighting. Invading Russia was the most colossal mistake of the Hitler regime. He could have used the 4.3 million Germans who died in Russia to defend Germany, against American and British troops. However, when he invaded Russia he enabled Russia and America to combine forces, which made it a lot easier to capture Berlin and bring the end of the reign of terror by Adolf Hitler. Russia probably would have stayed out of the war, if Germany had not invaded Russia. Hitler was far from being a military genius and erred by not letting his generals have complete control in the war. When Hitler sent the troops to invade Russia he thought the war in Russia would be over before winter. Instead, the fighting went into winter and the German troops were not prepared for the winter weather, since they had not been allowed to bring winter clothing with them. We will never know the exact number of those killed during World War II, since there were so many Jews being executed during the war. Hitler’s dream of Germany becoming a world power came to a sudden end, when he shot and killed himself in his bunker on April 30, 1945. Instead he left his country in ruins, from the Allied bombing attacks and it may never recover from the devastation of World War II. Germans and citizens all over the world need to never forget the devastation, of the World War II European theater fighting, which only happened because Adolf Hitler wanted to rule the world. It could have been a different war if Russian and Great Britain had stayed out of the war, if they hadn’t been attacked by Hitler. Hitler may have pretended to care about Germany, but all he really cared about was Adolf Hitler. A young Tony Bennett who sang in 1962 at Carnegie Hall. Tony Bennett was born as Anthony Dominick Benedetto on August 23, 1926 in Astoria, Queens, New York City. Bennett first sang for money at the age of 13 and this August will make 75 years in show business, when he turns 88 years old.. He also was an artist at an early age and still is painting today. He was first heard on radio in 1950 and would be heard on radio 25 times. Bennett became a pacifist, after being in the infantry in last days of European Theater in World War II in France and Germany in World War II. He said being in the infantry was akin, to having a front seat in hell. He would receive a demotion to the Graves Registration Service, while in Germany for dining with a black friend, at a time when white soldiers were not to be seen with black soldiers. Bob Hope saw Bennett singing with Pearl Bailey and changed his name to Tony Bennett. Because of You was the first No.1 hit for Bennett in 1951 and it would be followed by another No.1 hit in Cold, Cold Heart. Both songs became gold records. Rags to Riches would be his next No.1 hit in 1953. His signature song I Left My Heart in San Francisco only went to No. 19 on the charts, but it did sell enough copies, to be awarded a gold record. Who Can I Turn To and Time For Love both went to No.3 on the Adult Contemporary charts in 1965. Surprisingly, he has never had another song go as high as No.3 in the last 49 years. Bennett has released three duet albums, with Duets: An American Classic released in 2006, Duets II in 2011 and Viva Duets in 2012. His next album Cheek to Cheek, a collaboration with Lady Gaga was to be released in January, but is now being targeted, for a September 2014 release date. Tony Bennett in his later years. I have been watching the Zen of Bennett being shown on Netflix now. The documentary takes you behind the scenes, as Bennett records duets with such stars, as Carrie Underwood, John Mayer, Michael Buble and Norah Jones. Bennett tells of a Thanksgiving when he was growing up, when his mom said it was Thanksgiving Day and they had no food for Thanksgiving. It just so happened there was a raffle and Bennett entered and won and the prize was a turkey. This is a very interesting film, since you get to see Bennett singing and also doing some of his artwork. The following link will take you to eBay and will show a painting of Bennett’s, that is currently in an auction, for the staggering price of $1.5 million. It may not be close to being a complete set, but to be able to buy this album for as little as $23.00 new and $10.70 used is a real bargain. This album is a good representation of his work. This set of 73 CD’s and 3 DVD’s by Tony Bennett leaves out 28 songs, according to a Bennett collector. However, the album is price prohibitive, except for the wealthiest collectors. There are only two new albums available at Amazon, but the cheapest is $544.90. The last years of the 1970’s were not kind to Bennett. His Improv record label was out of business. That left him without a recording label to record his music on. He almost overdosed on cocaine and the IRS was trying to take his Los Angeles home. His second marriage saw him separate from his wife Sandra Grant in 1979, but they wouldn’t divorce until 28 years later in 2007. The 80’s would see Bennett begin to connect with younger audiences and in 1986 he re-signed with Columbia Records. His 1994 appearance on MTV Unplugged sparked even more interest in his music. Looks like Bennett hasn’t even thought, about retiring since he showing no signs of slowing down, even though he will be 88 in August. If anyone has seen it all it is Tony Bennett. He grew up in the Great Depression, since his father passed away, when Tony was only 10 years old. He has received 17 Grammy Awards, over a 49 year time period. He has had his shares of ups and downs, over the years but he is still going strong today. If there was ever a consummate professional singer it would be Mr. Tony Bennett. May he sing for many more years to come. Our DISH satellite was suspended for nine months recently, so are spending only $5 a month on DISH to keep the account open. We get to watch mostly infomercials for the $5, so we signed up for Netflix, which is much less than DISH was before the suspension. In fact one On Demand movie on DISH costs almost as much as the $7.99 a month charge for unlimited watching on Netflix. Not that we planned on watching any On Demand movies. However, we can only use Netflix from 2AM to 8AM, because that is only time our DISH internet service allows us, to watch videos or listen to any music. So I now wake up at 5AM and watch Netflix till 8AM. I have found myself drawn to some shows more often than others. The two shows that really stand out for me are The Rockford Files and Columbo. I will list those two shows, plus others that I have made a habit of watching. I have watched 25 episodes of The Rockford Files. Have already seen all of Season 1 and have watched the first episode of Season 2. Netflix has 123 shows available to watch of the show, which was first seen in 1974. It amazes me how much punishment James Garner as Rockford sustains in the show. He reportedly did his own stunts for the show, so that makes me respect him even more. One of my favorite parts of the show is when the telephone answering machine can be heard, with the caller leaving a very funny message at the opening. Another highlight for me is the interplay between Dennis Becker a policeman portrayed by Joe Santos and Rockford. Becker is not a happy camper, when Rockford asks for a favor like running down a license number for Rockford. The show for me is a perfect mix of drama and comedy. This show has a lot of chase scenes, where it is usually Rockford trying to shake the bad guys, who are tailing him and he often maneuvers his way through the traffic, to lose the bad guys. Imdb.com readers rate The Rockford Files 8.0 on a scale of 10. There are 43 episodes available on Netflix and am already into Season 4 with episode 2 next to be seen, for a total 27 episodes seen. Columbo shared its time slot, with some other shows, so that is why there were only 7 or 8 shows made a season. The first episode aired in 1968 and by the time the show left the air in 2003 Peter Falk had gray hair. Falk was perfectly cast as Columbo. The crime was shown at the first of the show, so this was no mystery. It was more a case of watching Columbo catch the criminals, who always seemed to think they had committed the perfect crime. Columbo may have looked a little scruffy in his rumpled raincoat, but he was a very intelligent detective, who picked up on any clue in short order. It was fun watching the criminals squirm, whenever Columbo came around and they sometimes became very agitated, because of Columbo popping up unannounced so often. Columbo may have been portrayed as a buffoon, but when it came down to solving a crime he always got his man or woman, depending on who was the guilty culprit, in a particular episode. Imdb.com readers gave Columbo a 8.1 rating. I had preferred watching the 50’s version of Dragnet, but the more I watched this later version the more I liked it. So far, have watched 11 episodes of Dragnet and have come, to appreciate the comedic exchanges between Sgt. Friday played by Jack Webb and Officer Bill Gannon, who is portrayed by Harry Morgan. Sometimes you will see a familiar face on this show, as Friday and Gannon make their investigation. Dragnet 67 pulls down a respectable 7.8 rating at imdb.com. This show is another one that draws me back to it, since all of the 16 episodes I have seen have been outstanding. It is rated 8.7 by the readers of imdb.com, which is the best rating I have seen so far. It is amusing to see Hitchcock open and close the shows. Be prepared for a surprise turn of events at the end of the episodes. Just when you think you have it figured out Hitchcock throws his viewers a curve. Alfred Hitchcock has 74 episodes on Netflix and skips Season 1 and I have watched 16 episodes. The show is in black and white, but that only makes the show more realistic for me. Some have called Adam 12 the most realistic cop show on television. I have seen nine episodes of the show, with 174 episodes available on Netflix. The first show aired in 1968. The first episode shows Officer Malloy portrayed by Martin Milner showing rookie Reed played by Kent McCord the ropes and the proper way to do things. The ninth episode in Season 1 features a man who is very upset, because someone stole his front lawn. Adam 12 receives a 7.3 from imdb.com readers. Netflix has only 65 shows available of Twilight Zone which started in 1959 and is rated an amazing 8.9 at imdb.com. I have watched nine episodes so far. One of my favorite episodes is about a man, who is always being told that he can’t read books by his wife and his boss. When a nuclear catastrophe occurs he is the only man left on earth. He happens to find the ruins of a library and sorts out books in piles to read in different months. However, he breaks his glasses and is unable to read any of the books. This is one of the most popular television shows ever. Am having problems being interested in either of these shows. Have nothing against Magnum PI, ….just no interest in it. McMillan and Wife is a good show, but not the kind of show I would want to invest an hour and a half into. Matt McMillan portrayed by Rock Hudson is not realistic as a police commissioner. Seems unrealistic to me, that the commissioner of police is fighting thugs in warehouses, while realistically a real life commissioner is not likely to leave his office, except for a news conference. Have not watched enough of either show to even count. This show starts with Season 6 on Netflix and it runs through Season 10, with 83 episodes available to watch. The episodes have kept my interest so far. Season 11 for some reason is not available on Netflix, even though the show ended its run in 2011. Law and Order – Criminal Intent received a 7.2 rating from imdb.com readers. I remember watching Leave It To Beaver at my grandpa’s farm in Missouri in 1959, which was two years after the show debuted in 1957. Interesting sidenote about this show is that Joe Connelly and Bob Mosher, who created Leave It To Beaver had been writers for the Amos N’ Andy show earlier in the 50’s. This show is rated 7.6 by the readers at imdb.com. Netflix has 234 episodes of Leave It To Beaver available for watching. So far have only seen 15 shows, so still have 219 shows left to watch. This show to me is television comedy at its best. It was smart of the producers to make Eddie Haskell a regular in the series after being a guest star. Ken Osmond, who played Eddie later became a Los Angeles policeman and was shot in the line of duty. Jerry Mathers who played the Beaver and Wally Dow and Osmond found little work in movies and television after the show left the air in 1963. It has been 21 years since Osmond has appeared in any production that didn’t have a connection to Leave It To Beaver. I have watched part or all of several documentaries. Since there are multiple parts to some documentaries have watched a little at a time. Watched Hitler’s Children about children related to Nazi war criminals, who were in Hitler’s inner circle. One relative was shown as he visited Auschwitz many years after the holocaust. He was moved to tears, when a survivor of Auschwitz came up to him and shook hands with him telling him, that he didn’t blame the son for what his father did. One of my favorites to watch was the 30-30 documentary from ESPN that told the story behind Michael Jordan playing minor league baseball in 1994, because he dad who had been murdered had wanted him to play baseball. The Ken Burns documentary about World War II is particularly interesting, since I was only alive for the last two years of World War II. The episode I am watching now tells about soldiers from three American towns who joined the Army and about how the war affected the soldiers and those left at home. This is a seven part series, so will be watching this for a long time. I also watched a documentary about Marilyn Monroe living in New York and another Ken Burns documentary about the history of jazz. Really enjoyed the part about pianist Art Tatum, who was almost blind, but was a piano virtuoso, who added a lot of notes to the basic melody. Netflix also has movies, but I am interested mainly in the television shows and documentaries. I have heard that a lot of good movies never are shown on Netflix. One negative about Netflix is that a movie or television show may be available one day, but then gone the next day. That can be attributed to companies switching to other vendors, after fulfilling their contract with Netflix. This is the 1,000th post, since I started writing this blog in April of 2009. There have been some long gaps, when there were no articles written, due to financial problems, when there was no internet service and two or three months last year, when I had to have cancer surgery in Houston VA hospital. I want to thank each reader, that has taken time to read, even one of the articles, which have been written in the last four and a half years. The early articles had a more nostalgic bent to them, but eventually I started running out of nostalgic things to write about, so wrote more about what is in the news today. I have tried to avoid writing about politics, since writing about politics is the fastest way to end a friendship. I have relatives who are polar opposites, when it comes to politics so try, to avoid angering any of them. However, I have found writing about the JFK assassination has sparked some controversy. I am still not sure exactly what happened on November 22, 1963 when President John F. Kennedy was assassinated in the streets of Dallas Texas or the circumstances surrounding the murder of Officer J.D. Tippit only about 45 minutes later in a Dallas neighborhood. A certain author wrote a book about the Kennedy assassination saying the case was closed, that was published in 1993. Here it is 20 years later and I still have seen no concrete proof that Lee Harvey Oswald killed the president that day. I am not even sure he was in the sniper’s nest in the sixth floor, when the fatal shots were fired. Knowing the fingerprint of LBJ’s personal hitman Mac Wallace was found on a box in the sixth floor makes me question, if Oswald was there only to be seen and blamed for the assassination, while Wallace may have done the actual shooting. Writing about growing up in Pineville, Louisiana in the 40’s, 50’s and 60’s brought back a lot of memories. Memories like the railroad train set on top of our bed and the elementary school burning down one night and watching television in store front windows, before we had television. I have been enthusiastic about watching train sets in action since then. Readers will find the bulk of the nostalgic articles posted in the first few months of the blog back in April and May of 2009. The comments of the readers have been valued and very interesting. I wrote an article about Max “Jethro” Baer of the Beverly Hillbillies and an actress who appeared with him wrote and mentioned that in her comment. When I wrote about the film Battle of Chosin in Korea and the brutal conditions the soldiers experienced, one of the producers of the movie Chosin wrote and commented on the article. 594,620 readers have visited this site as of this minute, since April of 2009. The most read article has been an article about Lizard Lick Towing Boss Arrested with 48,421 readers. 24,928 readers read an article about 1950’s Prices, which showed a newspaper ad, for a restaurant serving a Thanksgiving Dinner with all the trimmings for $1. Try finding that deal today. 17,555 read the Classic Television: Leave It To Beaver article. The most controversial article written was probably The Voice: Alright If You Like To See Bald-headed Women Sing, which 4,022 read. This article was written about one of the nights that Elvis appeared in Alexandria, Louisiana late in March of 1977, which was about four-and-half months before his death. I want to thank each reader, who has visited the website and want to encourage everyone, to continue reading the articles and all readers are welcome to comment on the articles. Only caveat is that no cursing or mean-spirited comments will be allowed. Thank you very much for reading the posts and have a Happy Thanksgiving. Joan Rivers caused a furor the other day when she said on Fashion Police “The last time a German looked this hot was when they were pushing Jews into the ovens.” It was bad enough that would even use a joke about the holocaust, but refusing to apologize makes it even worse. She said that her husband lost his family in the holocaust, and thinks that gives her the right to crack jokes about the holocaust. Jokes and holocaust don’t belong in the same sentence. Even if Rivers thinks it is alright to mention the holocaust in a joke it doesn’t mean Jewish people all over the world think the same way. Too many Jewish people lived in fear in basements and attics knowing that they could be found and taken on trains to Nazi death camps, for the holocaust to ever be mentioned in a joke. The war in Germany may have ended 68 years ago this spring, but the Jewish people who were fortunate enough to escape Germany or avoid capture will never think of the holocaust as a source for humor. I still think Rivers owes an apology, but she will probably continue to think it is alright to crack jokes about the holocaust, since she seems to think she has the right to make light,of one of the most horrific times in the history of the world. How can anyone find anything humorous about 6 million Jews being put to death? Adolf Hitler may not have killed any of these Jews personally, but he was the one ordering all Jews to be murdered. The despotic dictator was the one orchestrating the systematic killing of the Jews. Ruth Westheimer couldn’t have found much humor in River’s holocaust joke, since both of her parents were murdered in a Nazi death camp. Robert Clary who is now 87 appeared on Hogan’s Heroes, Days of Our Lives and other soap operas was captured by the Nazis in 1942 and he was liberated at Buchenwald on April 11, 1945. He too couldn’t have been amused by the so-called joke of Rivers. It is tough enough trying to get people to remember the holocaust, without comedians like Rivers thinking it is a great source for jokes. Anti-Defamation League had every right to protest her holocaust joke. It is sad that Rivers doesn’t think her joke is worthy of an apology.